1. 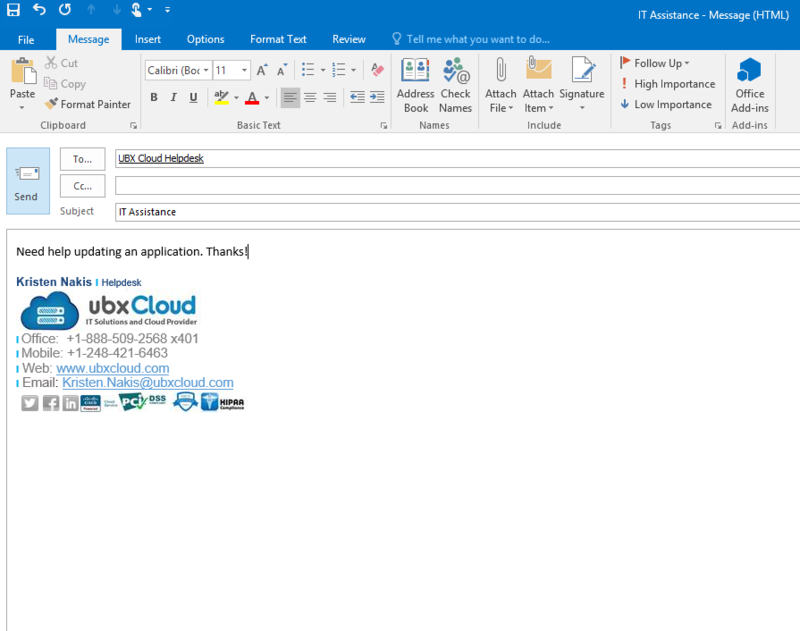 You may email your request to "helpdesk@ubxcloud.com". Make sure to provide a subject in the email along with any pictures, screenshots, or any other details that feel necessary to include. 3. 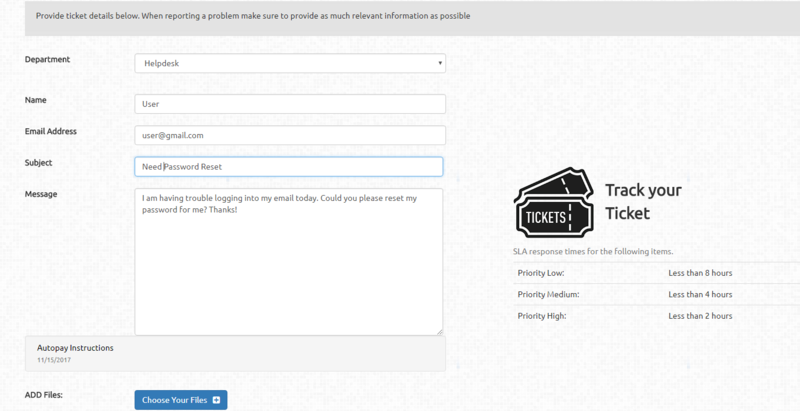 To create your ticket online, make sure you select the "Helpdesk" option for the department, and proceed to provide your name and email address along with a message on what you need assistance with. 5. 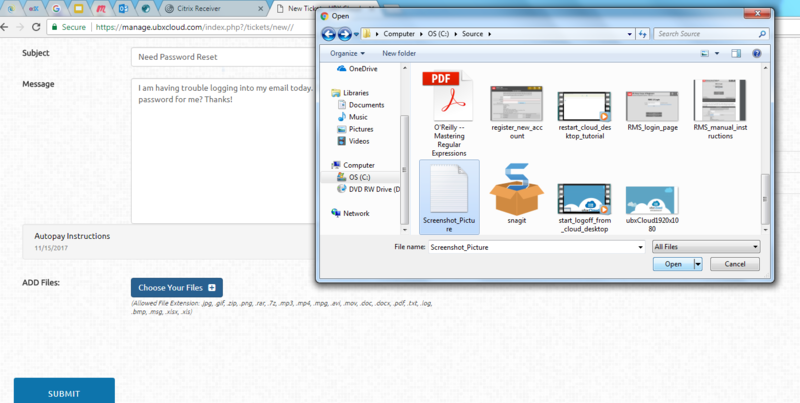 Once you are done filling out all required fields and/or uploading any images, make sure to submit your ticket at the very bottom of the page. 6. The last method you can use to submit in a request is by calling our 24 hour support dispatch at: 1-248-686-2000. After your request has been logged by dispatch from one of the following methods above, you will be immediately emailed with your ticket details. You will receive a personal response from one of our support staff via email or phone within four business hours. In order to maintain efficiency, please do not email, call, or text our technicians or engineers directly unless you have created a support ticket using one of the methods above. If you have any questions regarding our support policies you may discuss them with the account manager assigned to your account.